An intricate and delightful cup of coffee, beginning with grapefruit in the nose. Its multi-layered, yet delicate profile plays upon different elements like buttermilk, sugary sweetness, and cedar. 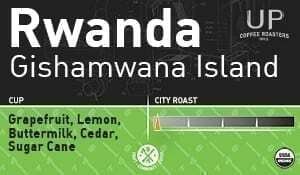 Slick body and a crisp acidity flow efficiently into a memorable finish of a juicy lemon.